When was this abandoned? Why? What are some of the hardships the farmer or rancher and family endured? This is near Garretson, SD, so we know the winters were no picnic and the summers were certainly warm enough. The land itself in that area is suitable for horses or cattle. It is also beautiful land with big rolling hills and plentiful trees to seek shelter from the sun for a bit. Wish I had seen it 50 years ago or so. 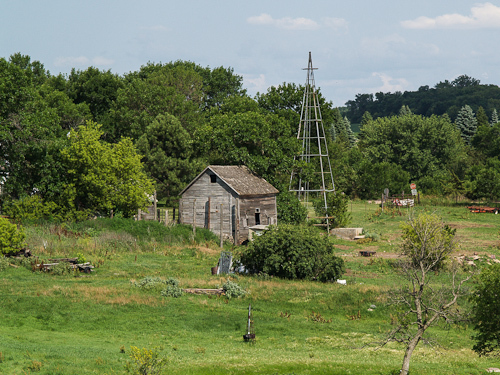 This entry was posted in Uncategorized and tagged copyright ryan ware, country road, rural decay, windmill. Bookmark the permalink.